Excellent starter backpack. Lots of space and compartments. Excellent starter backpack. Lots of space and compartments. Very adjustable as well. 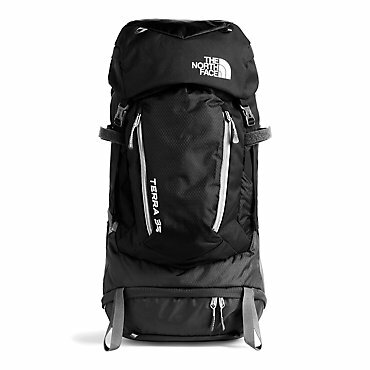 I bought this pack at Costco as my first backpack for $49.95. 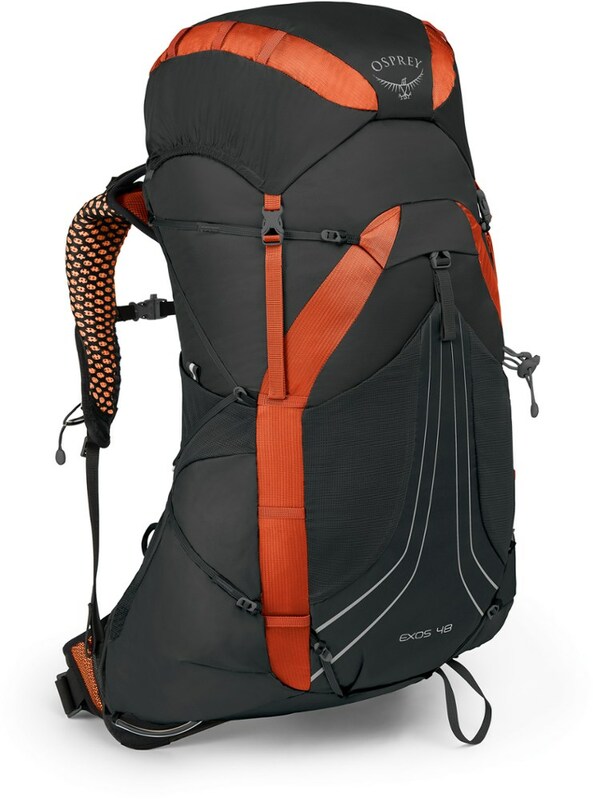 The pack is highly adjustable to suit most body types and sizes. I've lugged this pack on over 120 miles of the Arizona Trail so far, and really have no complaints. 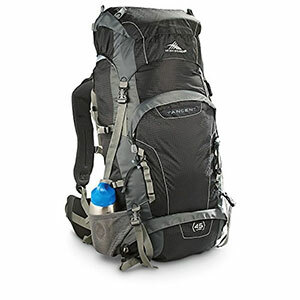 I am able to pack it with 40 pounds of gear (this includes 5 liters of water) and it is comfortable to carry. I typically backpack for 2 - 3 days with 1 - 2 overnights and have been able to fit everything I need. The shoulder and hip straps are comfortable. The bottom compartment holds my sleeping bag, I strap my tent to the bottom, the lid holds my down jacket, the bungee straps on top hold my rolled up camping chair. I use the side compression straps to hold my camp sandals and trekking umbrella (we are in Arizona, so a necessity for some hikes). A large front pocket holds my bear bag and glasses. Two large side pockets hold my Nalgene wide mouth bottles. Two nice sized hip belt pockets hold my multi-tool, toilet paper and lip balm. The included rain cover was very easy to deploy and kept the pack dry. It is fairly durable considering how inexpensive it was. The included hydration pack leaked, so I replaced it with a Platypus system and have had no issues. The only signs of wear so far are the hip pockets, which are due to my multitool. I wash the pack with detergent after my hikes, let it air dry, and load it back up! I'm very happy with this pack, and will keep using it until it breaks/tears/disintegrates. Welcome to Trailspace, Teri! 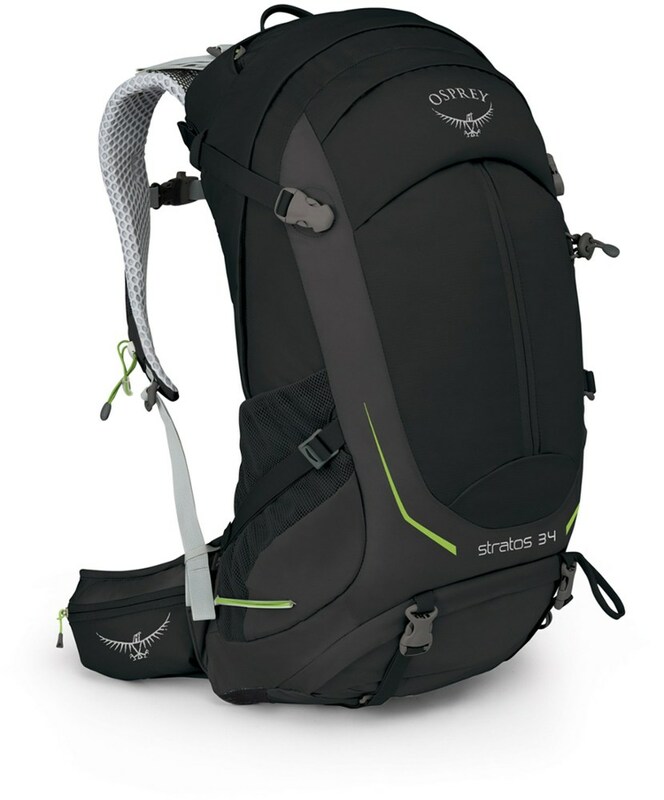 Thanks for sharing your High Sierra pack review with us. 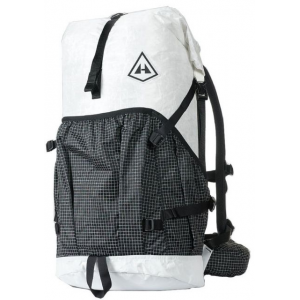 Great lightweight all around pack with a faulty water delivery system. Camelbak feature leaks at the lower valve that attaches to bag. I would give it a higher review if the water feature did not leak. I got a great deal on this pack at Costco. I would have bought it without the water feature, but having the Camelbak water feature was a plus. Unfortunately it leaks at the bottom valve. I took back the first backpack right away and got a second one and had the same problem. The slow leak soaks the contents of your pack and drips through into your lower back and buttocks. Now I'm just going to use the pack without the water. Welcome to Trailspace, Kimberly. Thanks for the review. Don't give up on water bladders yet Kimberly. My Platypus one has never leaked. I'm sorry you had such a bad experience. Just picked up a couple at costco for 39.97 Looks different from the picture. The High Sierra Tangent 45L internal frame backpack has been a good pack for my weekend and day hikes. 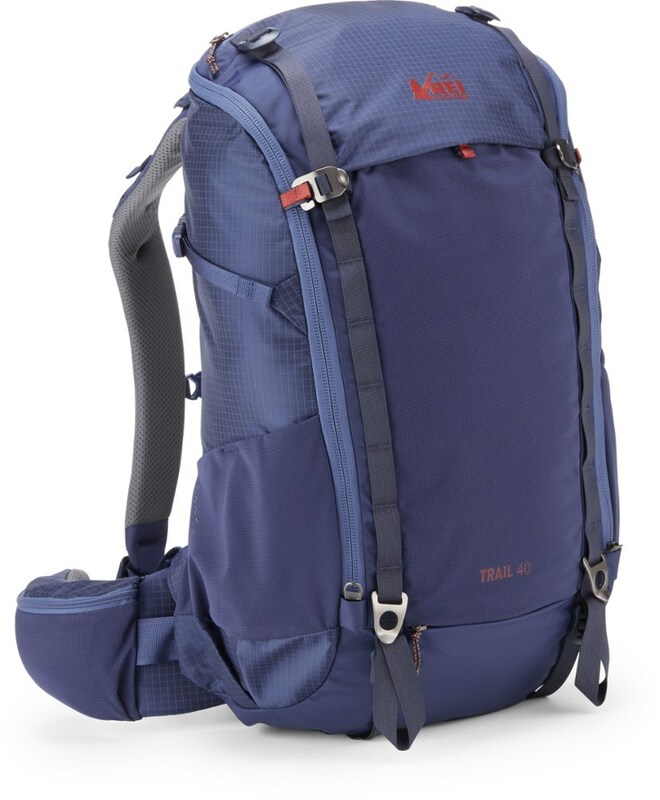 Although I do wish that the padded belt had a net pocket or a method of attachment, this pack is a great value at $55 (Costco price). Key features inlcude: top loaded main component with secondy access through a rear zipper, a separate lower compartment, an integrated tuck-away rain cover in a velcro pocket on the bottom, plenty of tie points integrated water bladder sleeve, and a top cover with a zipper pocket. 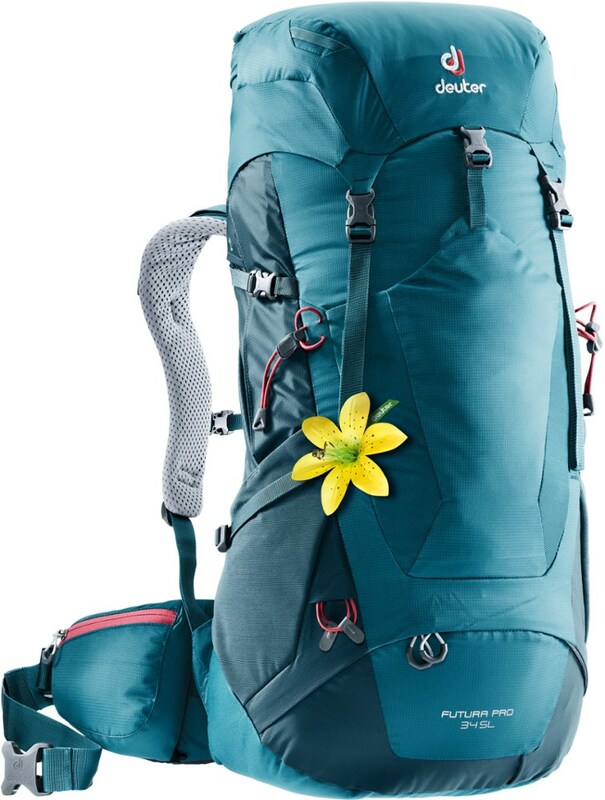 My favorite feature is the arched back panel that keeps the pack just far neough away from your back to provide great airflow while keeping the weight of the pack on your hips. The water bladder sleeve has several versions of tie points so it should be compatible with any bladder type. I liked this pack so much, that I went back and got a second one for 12-year-old daughter to use. It fits her nicely and we are looking forward to trying these packs on longer hikes. The High Sierra Tangent 45 is not available from the stores we monitor.